Other sites we’ve used for information and inspiration (read: to prove to ourselves and our families and friends that we’re not completely crazy). The only thing that’s crazy is how many cool people have driven or are out there overlanding the PanAm and beyond. There are just too many to mention and keep up with but these sites are filled with valuable info and hours of entertainment. Midwestern high school sweethearts who decided there had to be more out there than a job in finance and life in the suburbs. 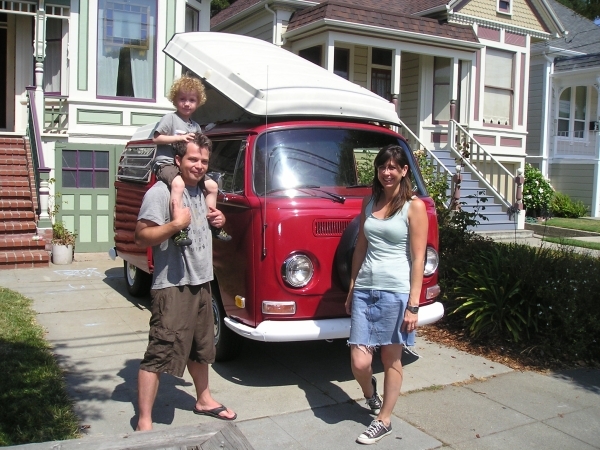 Since 2003, they’ve been traveling the world, first by catamaran (with no sailing experience) and later in a 1952 VW bus. Throughout, they’ve kept a very detailed day to day blog that makes you feel like you know them and gets you in the minds (at least *their* minds) of world travelers. The archive page is nicely indexed by date and location. We started at the beginning and read it like an addictive serial story. The latest finds them living aboard and restoring an old sailboat with their Mexican-born (born with dual citizenship in Puerto Vallarta – damn immigrants coming across the border to take advantage of the Mexican health care system) daughter and son, both under 3 years old or so. A couple from Northern California who planned this trip for years before setting off in a diesel Landcruiser in late 2009. Like us, they’re not promising to accomplish a specific goal or be gone for a specific period of time but have their initial sights set on Tierra del Fuego and a one year time frame. Along they way, they plan to work in local projects including educating people about their efforts to make their trip as low impact as possible. They’ve recently extended their trip a few times and seem to be adapting incredibly well to the traveling life. Tree and Stevie (you may be surprised which is which) are started an epic trip with a drive from LA to Tierra del Fuego in a tricked out Sprinter van packed with the comforts of home, surfboards and their dog, Kiki. From there, maybe ship to Europe? Continue on a sailboat? 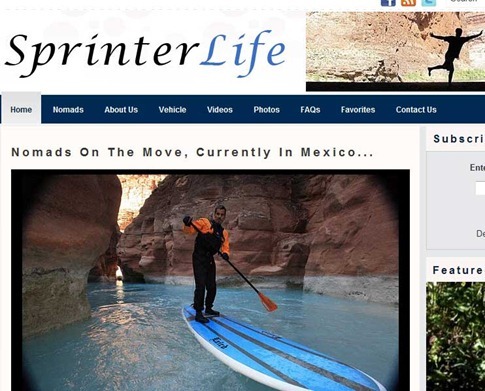 They’ve bought the nomad lifestyle wholesale and are going for it! As of now, they’re expecting their first child in Peru and don’t plan to let it slow them down one bit. Norwegian couple Espen and Malin driving a Nissan Patrol across North America and up to Alaska, then down through the US and into Central and South America. Latest has them shipping to Africa and continuing north in between seasons working and making money in Antarctica. 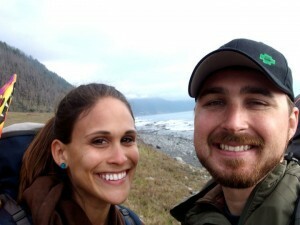 Logan and Brianna spent over a year on the road from Oregon to Tierra del Fuego. Great writing, pictures and adventures. Last I heard they’re living on a ranch in Nebraska, planning on hiking the Appalachian Trail and processing what like looks like after a year of living in a camper. We had beers with James and Lauren in San Francisco a month or so before we left for our trip and while they were planning theirs. Their trusty 20 something year old 4Runner has since carried them to South America and it doesn’t sound like they plan on stopping anytime soon. A couple and their son on the road in an old VW bus. They’re currently in South America and livin’ the dream. I seriously can’t keep writing this same description… Suffice to say that we love blogs about traveling parents and these guys seem to be pros. We’ve been hearing about Brad and Sheena for a long time but are just tuning into some of their incredible adventures driving a Syncro Westfalia around the America’s. Another blog not to miss for the writing, pics and stories. 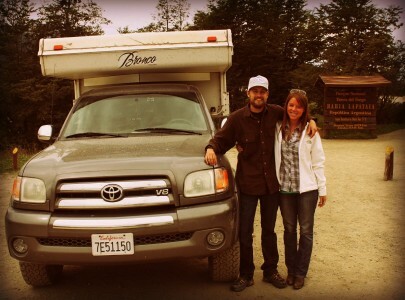 A 20-something couple just back from a drive to Argentina in a Toyota 4Runner. Along the way, they’ve compiled very detailed descriptions of each border crossing (complete with step-by-step instructions) and great info on the ins and outs of shipping across the Darien Gap which should be extremely helpful to us. All of their info is well tagged, and I found that scanning the categories on the right side was a great way to dig into something interesting, including their section of interviews with other travelers, I thought they really gave a good feeling for their life on the road. Man, I’m almost getting tired of writing this sentence; “A young couple who decided to drive a 4WD truck to Tierra del Fuego to experience the world before settling down.” Starting to sound cliché but it’s true and this is yet another entertaining, informative blog from a charismatic couple. You can see an interview with Kacey and Dave on the Ramble Writers site. Christian and Persephone’s (and sometimes others) adventures including Australia, CapeTown to London and more. Dan set off in 2009 to drive the 50,000km Pan American Highway from Alaska to Tierra del Fuego in June of 2009. He’s kept a great journal along the way and seems to have a very positive outlook on life and the experiences he’s having. Tom and Janet are seasoned overland travelers planning a Pan American Highway trip in a Nissan Frontier with a custom camper leaving Summer 2010. It looks likely that we’ll cross paths in Mexico or Central America and maybe mine them for info on Africa where they’ve traveled extensively. Check out their very nice site for lots of detailed info. An art director for the Associated Press who decided to take a year off (approx 2010) to drive a 1996 Landcruiser around the world. He’s had some challenges with the truck along the way, but that’s what good adventure’s made of. His site has some very useful info on budgets and logistics. 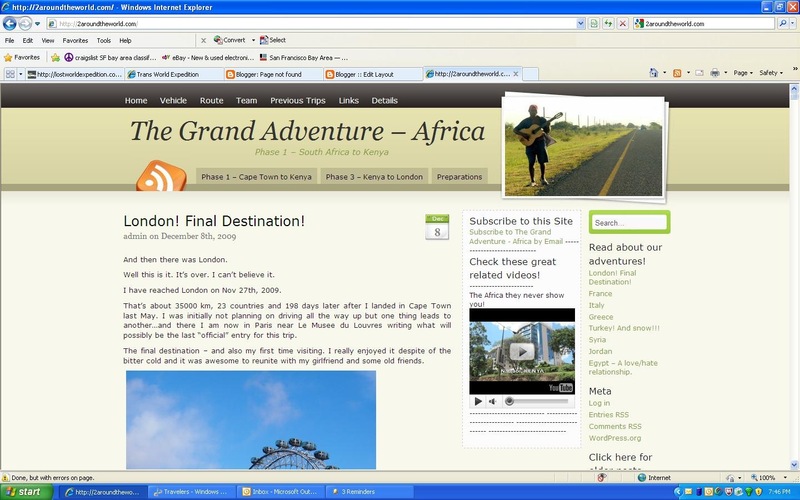 Expedition Portal (ExPo) – A newer forum site specifically targeting adventure overlanding. Topics include trip planning by region, specific vehicle discussions, and everything about gear for camping, four-wheeling, staying in contact and staying safe. 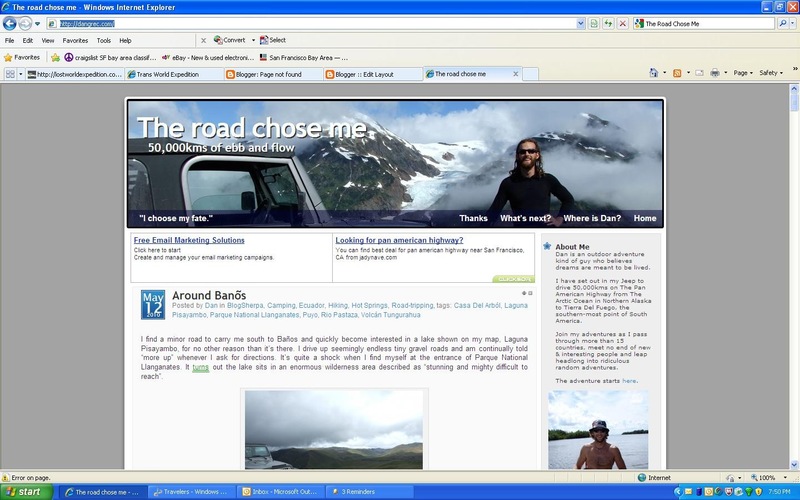 Horizons Unlimited (HUBB) – Originally a motorcycle travel site but they do have a four wheel travel section. Still great info on borders, logistics and general travel. Lots of users and contributors make the HUBB a great place to get answers and inspiration. Drive the Americas – Started by The Darien Plan and another couple frustrated with the lack of a central place for information on driving in Central and South America. Lots of good information and a developing forum area. Adventure Rider (ADV) – Huge base of adventure motorcyclists and laptop pillions. Inspirational stories of motorcycle trips from all around the world. Shameless plug: search for posts by coydogsf for my trips in Europe, Northern CA, and on the TransAmerica Trail. Expedition Exchange – Online source for every kind of gear related to vehicle dependent travel. We bought our Engel fridge, a super siphon, back issues of Overland Journal and I can’t remember what else from them. Best prices in the world? Who knows but feels good to support a company so dedicated to this kind of travel.